Michael reported today that a Boer War DCM group to Bursford was stolen, presumably in Johannesburg, over the weekend. No more details available. Frederick William Stringer was born in Horton, Dorset on 13 July 1873, the son of the Rev. Thomas Stringer of Purbrook, Cosham, Hampshire. ‘I have great pleasure in certifying to the fact that the bearer, Mr. F. W. Stringer, served as a Trooper in the S.A.L.H. during the late war, under my command from November 1899, when the Corps was raised, until October 1900. He afterwards rejoined and during this second period served in a specially selected scouting corps from members of the Regiment. During the recent rebellion in Natal & Zululand he served under my command in the Transvaal Mounted Rifles. Frederick William Stringer served in the Corps of Cattle Rangers as number P315 (address Pretoria, Transvaal) and was discharged 30th November 1901. The Buxton FID book shows his entry for the KSA and notes previous service with SALH and ASC. A very nice group, indeed. D.C.M. London Gazette 27 September 1901. Mention in despatches London Gazette 16 April 1901. ‘As a child he was ‘tongue tied’ and several operations failed to make him able to talk. It was later discovered that his brain was so active he could not express himself, but just before his ‘teens he spoke naturally and speedily. He was a musician, an athlete and a scientist. A desire to see the world prompted him to join the Royal Navy and he was determined to become an officer. He was a good sailor and was permitted to apply for officer status and passed every examination with distinction but he could not qualify because his family had no previous naval background and certainly none of rank. He persuaded my father, who had been recently discharged from the Royal Artillery after a full term of honourable service, to aid his desertion from the Navy rather than return to ordinary seamanship and my father bribed a member of the Union Castle Line to take my uncle to Cape Town for payment of £5. On arrival in Cape Town, my uncle trekked to Kimberley, where he was a pioneer miner. He installed the first known electric lighting. He was much respected by the Boers and other residents and after an order that all British persons must leave for Cape Town, he was assured that he could go on the last train, liable to attack en route. Unfortunately this train was attacked and all of his possessions, including his clothes, were taken, making his arrival in Cape Town an unhappy one. Regardless of the friendships he had made up country, he had no alternative but to join the forces and he was enlisted as a Cape Town Highlander. His departure on service was almost immediate and his company was installed in a block house which was comparatively safe in enemy territory. The doctor’s son endeavoured to reach his father in the block house but was shot down and lay within sight of his father. My uncle disregarded the enemy fire and brought the son in but his body was riddled with bullets. For this act my uncle was recommended for the Victoria Cross and all preliminaries were in progress when it was discovered that he was a deserter from the Navy and was thus automatically disqualified. The special act of bravery was, however, rewarded by a pardon and reinstatement as George Gill West, instead of ‘John Moore’ his assumed name, and his bravery award for distinguished conduct in the field bears, by order, his correct name. (i) Four letters from the recipient to his brother and sister, all from South Africa, one dated the ‘23rd’ at ‘Jacobsdal, O.R.C., S. Africa’, so possibly in October 1900, two days before his death in action. (ii) An envelope addressed to the recipient in ‘B’ Company, Cape Town Highlanders, with Cape Colony stamp marks for the 7th and 19th November 1900, and red ink endorsement, ‘Killed in action at Jacobsdal 25/10/00’. (iii) An old hand-written account of the recipient’s life, 3pp., with a pasted-down drawing of his sister - ‘George Gill West, the brother of my mother, drew this of her before his departure to S.A.’; together with another account of the recipient’s life, 4pp., dated 18 February 1968, as written by the recipient’s nephew, H. Monk. 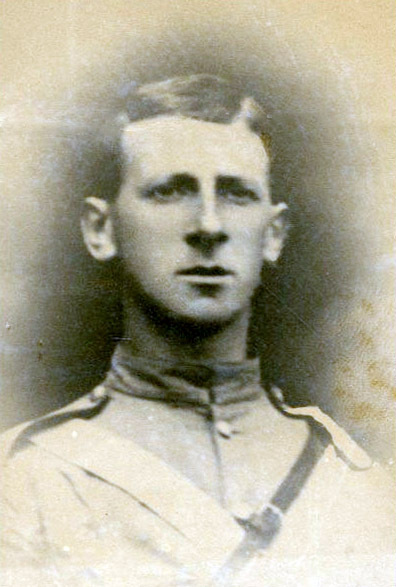 (iv) A portrait photograph of the recipient, in uniform; assorted Boer War newspaper cuttings, including a Times report on the attack on the Cape Town Highlanders at Jacobsdal on 25 October 1900. Army LSGC Ed VII (75772 Gnr D Hutchinson RA). 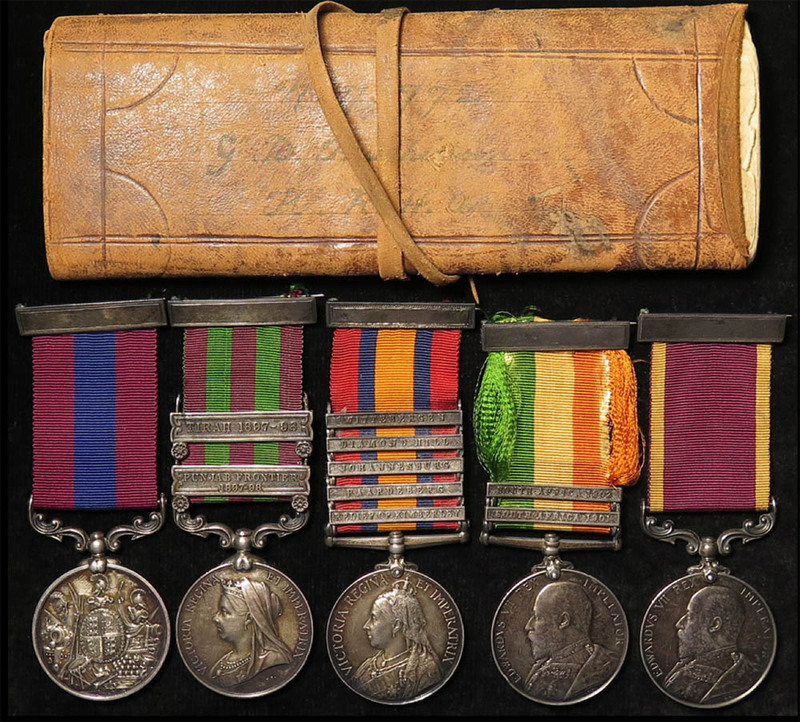 1914-1920 British War and Victory Medals (30938 Dvr. G. Rockall R.A.). Distinguished Conduct Medal London Gazette, 2 February 1900. 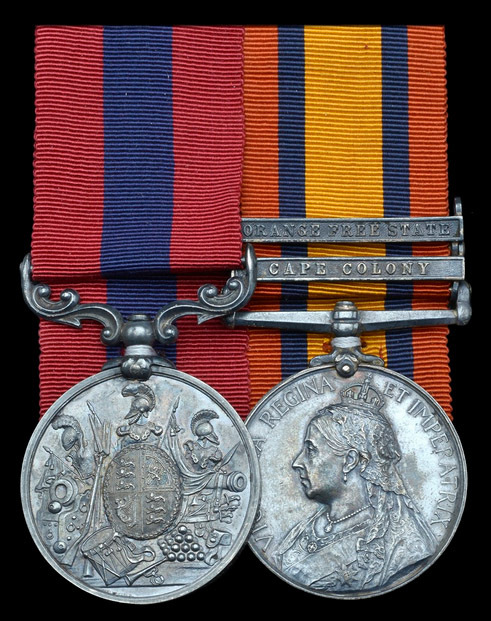 The Queen has further been pleased to approve the grant of the Medal for Distinguished Conduct in the Field to the undermentioned Soldiers in recognition of their services at the Battle of Colenso:- Driver G. Rockall. At Colenso on 15 December 1899, the detachments serving the guns of the 14th and 66th Batteries Royal Field Artillery had all been either killed, wounded, or driven away from their guns by Infantry fire at close range, and the guns had been deserted. About 500 yards behind the guns was a donga in which some of the few horses and drivers left alive were sheltered. The intervening space was swept with shell and rifle fire. Captain Congreve, Rifle Brigade, who was in the Donga, assisted to hook a team to a limber, went out, and assisted to limber up a gun. Being wounded, he took shelter; but seeing Lieutenant Roberts fall, badly wounded he went out again and brought him in. Captain Congreve was shot through the leg, through the toe of his boot, grazed on the elbow and shoulder, and his horse was shot in three places. Lieutenant Roberts assisted Captain Congreve and was wounded in three places later dying of his wounds He was also assisted by Corporal Nurse, 66th Battery Royal Field Artillery, and Captain Reed 7th Battery Royal Field Artillery, who had heard of the difficulty, and shorty afterwards brought down three teams from his battery to see if he could be of any use. He was wounded, as were five of the thirteen men who rode with him, one was killed; and thirteen out of twenty-one horses were killed before he got half-way to the guns, he was obliged to retire. 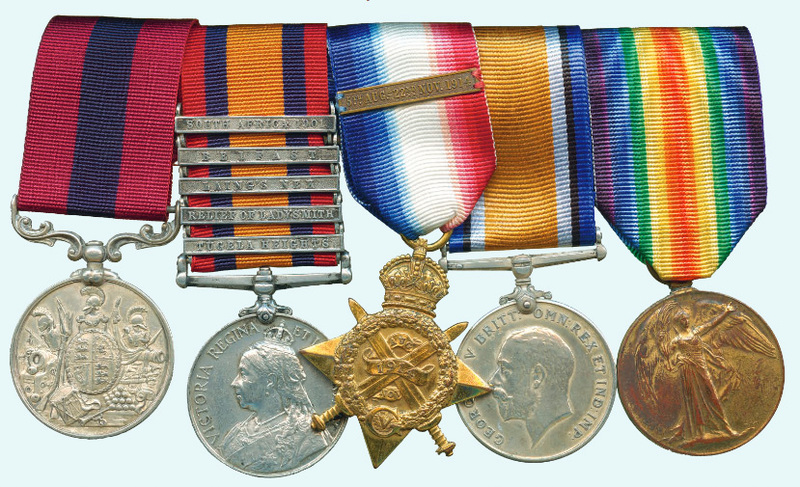 (Congreve, Roberts, Nurse and Reed were all awarded in the Victoria Cross).